The funny thing about wild rice is that it isn’t really rice. It’s a native grass that grows in the same wet conditions as rice and has the same grain-like appearance. Its nutty, rustic taste is a great complement to sweet corn and to the woodsy taste of the mushrooms in this soup. The wild rice that we like best is grown by the Lundberg family in Richvale, east of Napa in Yolo County. Lundberg Family Farms has been growing a unique selection of rice for several decades and was one of the first participants in our American Harvest Workshop. To make the rice: Combine the onion and olive oil in a small skillet over medium heat. Cook for 2 to 3 minutes, until the onion is soft. Add the wild rice. Stir to coat with the oil. Add the stock and salt. Bring to a boil, cover, decrease the heat to low, and cook on a low simmer for about 1 hour, or until about half of the rice kernels burst. To prepare the soup: While the rice is cooking, heat a large, wide saucepan over high heat. Add the olive oil, onion, carrots, celery, and prosciutto. Cook for 2 to 3 minutes, until the vegetables begin to soften. Add the garlic and sage. Cook for 1 to 2 minutes to soften the garlic. Add the corn and mushrooms and cook for 1 to 2 minutes, until the mushrooms begin to soften. Add the stock and a pinch of salt and pepper. Bring to a boil, reduce the heat to low, and cook, uncovered, on a low simmer for 20 to 25 minutes, until the vegetables are tender. To make the croutons: Mix together the bread cubes, parsley, and garlic in a small bowl. Add the olive oil and salt and stir to coat the bread evenly. Spread out into a single layer on a baking sheet and bake for 20 minutes, or until crisp and golden brown, stirring occasionally to brown evenly. Set aside. Add the rice to the soup and stir to mix well. Add the parsley and ladle into warm bowls. Top with a handful of the croutons and serve. 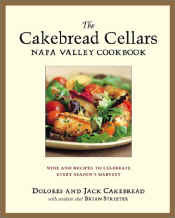 Enjoy with Cakebread Cellars Napa Valley Chardonnay or a silky, complex chardonnay.